Mega Sale! Save 21% on the Uncle Mike's Quick Detachable Fore End Band Style Sling Swivels (Blued, 1-Inch Loop) by Uncle Mike's at Freedom from Government. MPN: 15312. Hurry! Limited time offer. Offer valid only while supplies last. 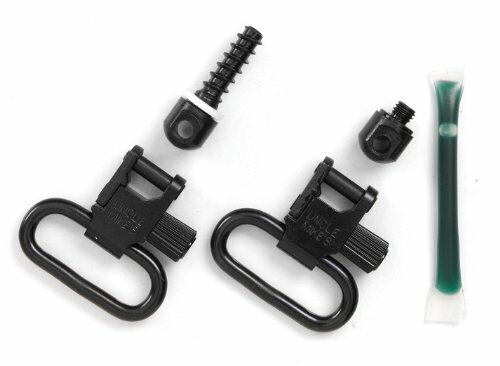 This 1 inches swivel and machine screw set has been created for guns with a for end band, such as lever action rifles and Mossberg 500 Shotguns. This 1 inches swivel and machine screw set has been created for guns with a for end band, such as lever action rifles and Mossberg 500 Shotguns. Requires alteration of the tubular magazine.